The day after Christmas, Tesla CEO Elon Musk gave us an unexpected gift. 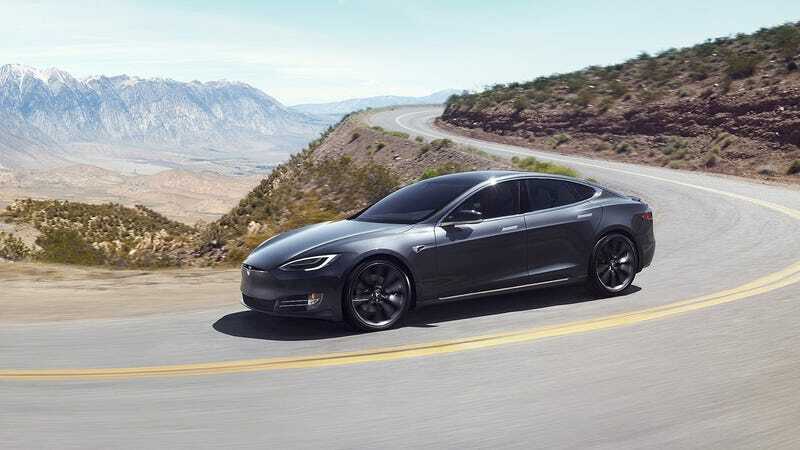 Brake pads on Teslas would “literally never” need to be replaced, he said, thanks in part to the electric car’s regenerative brakes cutting way down on brake pad use compared to a conventional car. That seemed a little too good to be true! But maybe not impossible, exactly. To recap, here’s Elon’s tweet, which came amid a Twitter discussion about EV maintenance. There’s not a whole lot of nuance here. Your Tesla will never need new brake pads, he says! Apparently no matter how you drive. This is what Musk was referring to in his tweet. But it may not work in every situation and for everyone, especially for people who take their Tesla to the track. And, besides, you will need your brakes for emergencies or just the kind of surprises that occur all the time in everyday driving. And so I went to other EV automakers, all of whom were more measured than Musk. The I-PACE offers two modes of selective regenerative braking; high and low. In low regen mode, the resistance of the electric motors is less obtrusive, allowing he or she to coast; similar to a normal internal combustion car. When an owner applies the brakes in this mode in normal braking conditions (i.e. not a panic stop) and when the battery is below approximately an 80% state of charge, the first bit of the pedal isn’t actually engaging the brake pads/rotors, instead it relies on using the resistance of the motors to provide regenerative braking; transferring braking energy into the battery to add charge. Of course in a panic situation the brake pads do engage the rotors to slow the car (causing wear). In high regen mode (single pedal driving) on the I-PACE, the vast majority (but not all) braking needs can be assumed with the resistance of the electric motors alone; in most cases the driver then will only use the accelerator pedal. This feature is especially helpful in urban traffic. There are exceptions of course. The battery must be below approximately 80% state of charge in order to receive the full benefit of the resistance of the electric motors. The idea here is that we can’t overcharge the battery and force additional electrons in, if it’s already full, so the resistance provided by the motors gradually does decrease the fuller the battery is requiring the use of the standard braking system. In panic or emergency situations the driver will rely on the combination of both the electric motor resistance and the brake pads. This would cause some wear, so ostensibly the pads would need to be replaced at some point. We would recommend that the brakes get inspected by a qualified technician (preferably at one of our retailers) during each service or if the owner notices noise or a decrease in braking ability, warning lights, etc. The regenerative braking feature of the Bolt EV allows the vehicle to decelerate with less use of the vehicle’s base hydraulic brake system. However, the actual mileage that the brake lining’s life could be extended varies due to the parameters under which the vehicle is driven (e.g. how frequently the driver engages the regenerative braking features) and the environmental conditions in which the vehicle operates. Since the actual mileage will vary, the recommendation is for owners to pay attention to the built-in wear indicators. What about Tesla? I emailed them and then spoke on background to a Tesla spokesperson, and offered to include a on-the-record statement in this blog should they want, though no statement has been sent thus far. In any case, in my experience Tesla tends to let Elon’s tweets speak for themselves. All three say that there are wear indicators on the cars’ brakes, and that failing to replace worn brake pads “can result in a braking hazard.” All of which certainly anticipates that you’ll need to change the brake pads someday, without quite saying that you will. The takeaway from all of this is pretty basic, and what most people know to be true for all cars, not just EVs: Your brake pad wear is highly dependent on how you drive. It’s just a bit more complicated than you can fit in a tweet, like most things.